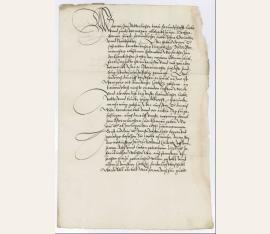 der Fromme, Kurfürst von der Pfalz (1515-1576). LS. Heidelberg. 1½ SS. auf Doppelblatt. Folio. Mit Adresse (Faltbrief) und papiergedecktem Siegel. 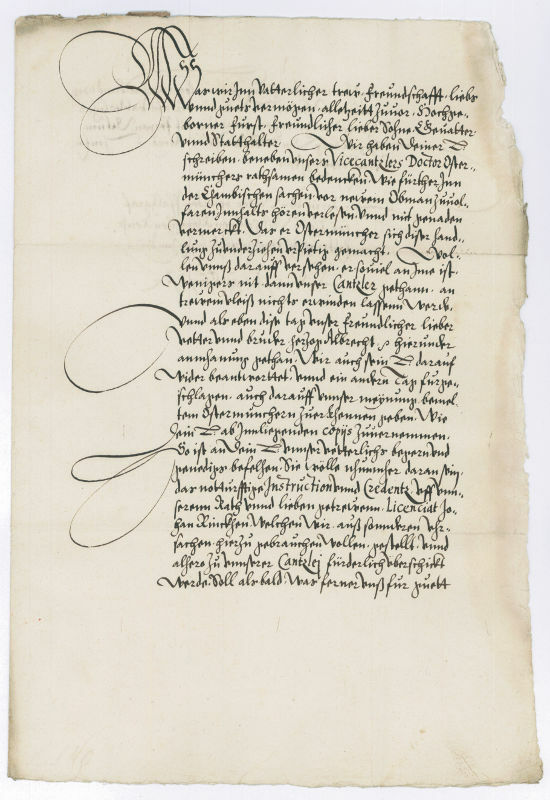 To his son, the future Elector Ludwig VI., then governor of the Upper Palatinate in Amberg, with instructions on the dispute with Duke Albrecht V of Bavaria concerning the drawing of borders. - Slightly water stained. - Very rare.